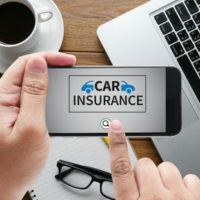 Uninsured motorists faced with license suspension are utilizing a new plan offered by the Virginia Department of Motor Vehicles (DMV), according to an article by the Martinsville Daily. The plan allows drivers with suspended licenses to regain driving privileges by paying off their fees and penalties in monthly installments. Until this plan came into being, drivers needed to pay off all of their fees and penalties before regaining their license. Since its introduction in January 2017, over 600 people have regained their license through the use of this plan. In order to understand the full impact of this plan, we need to review Virginia laws concerning uninsured motorists. Are Virginia Drivers Required to Carry Insurance? The simple answer is no. Unlike some states, Virginia does not require drivers to have car insurance. As outlined in Virginia Code § 46.2-706, “every person registering an uninsured motor vehicle . . . shall pay a fee of $500.” Any driver who fails to pay the required fee and operates an uninsured vehicle is guilty of a Class 3 misdemeanor, as detailed in Virginia Code § 46.2-707. Even though Virginia allows for the operation of uninsured vehicles, the driver cannot escape liability for an uninsured accident. If an uninsured driver is involved in an accident, they will be responsible for any damage and injuries caused. Now that we have an understanding of uninsured motorist laws in Virginia, we can turn our attention to the new DMV payment plan program. What is the DMV Payment Plan Program? The DMV summarizes the rules and regulations of the payment plan program on its website. Essentially, this program allows Virginia motorists to regain their suspended driver’s license without paying all of the fees and penalties at once. This does not mean that drivers can avoid the penalties and fees assessed for their violation. But the plan allows drivers to distribute the financial burden of their penalties and fees over a three-year period. Maintain Form SR-22 or FR-44 for three years to demonstrate evidence of financial responsibility, even if they pay off the balance of their fees in less than three years. Being involved in a car accident, insured or uninsured, can be a frightening experience. From potential injury to property damage, there are many considerations that need to be handled quickly and efficiently. Thankfully a knowledgeable personal injury attorney can help you understand your rights and help you move forward. If you are dealing with the fallout of a car accident, Simms Showers LLP can help you. With dedicated experience in personal injury law, Simms Showers LLP provides clear and accurate counsel in offices across Virginia. You can call our attorneys 703-997-7821 or reach them online via an electronic form.